Húsavik is renowned throughout the whole of Europe for its whale watching opportunities. This 3 hour boat trip combines both the opportunities of sighting some of the largest sea creatures in the world along with cute migratory birds such as puffins. Set sail out of the harbour on a traditional Icelandic oak boat for a whale watching trip around Skjálfandi bay, which offers the possibility of sighting a variety of whales and dolphins. 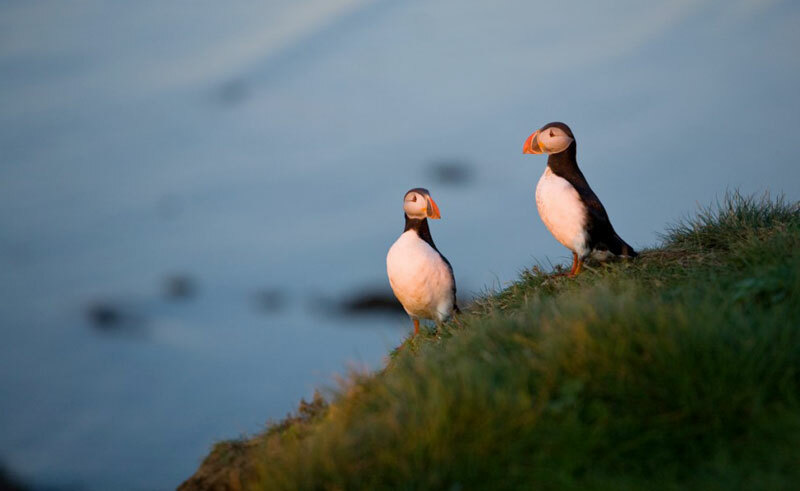 During your time at sea you will also get go past puffin island, where you will be able to see these intriguing migratory birds. This will all be in the company of an expert guide and whilst you sail back enjoy a cup of hot chocolate and traditional Icelandic scones.